This new 300 dwelling unit residential complex includes four 16 level towers, framed by a continuous 6 story cluster. At the center of the complex is a public garden. 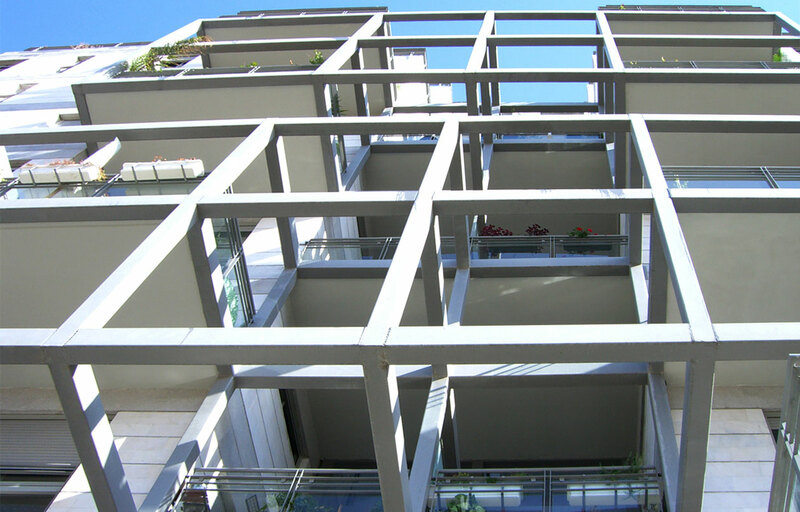 The top 6 stories of the towers are roof terraces with a variety of apartment types. The design is based on the contrast between the white and gray stone cladding and the steel detailed balconies. The core of the building is exposed through a large glass curtain wall. This new 300 dwelling unit residential complex includes four 16 level towers, framed by a continuous 6 story cluster. At the center of the complex is a public garden. 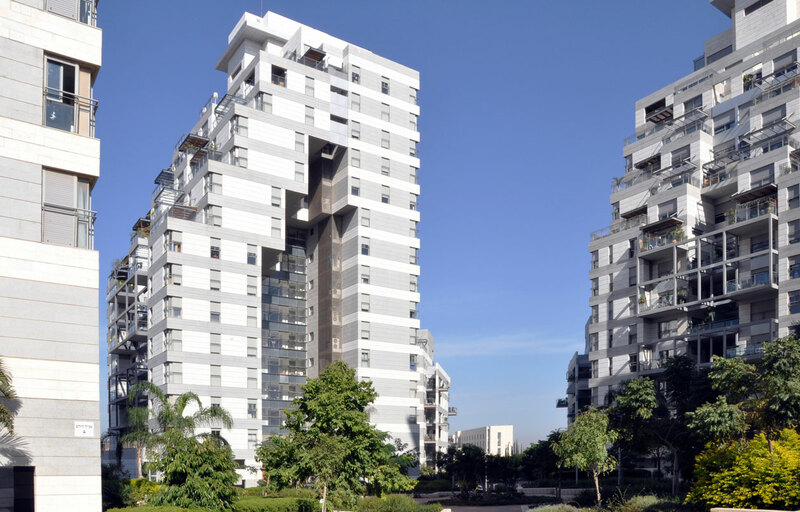 The top 6 stories of the towers are roof terraces with a variety of apartment types. 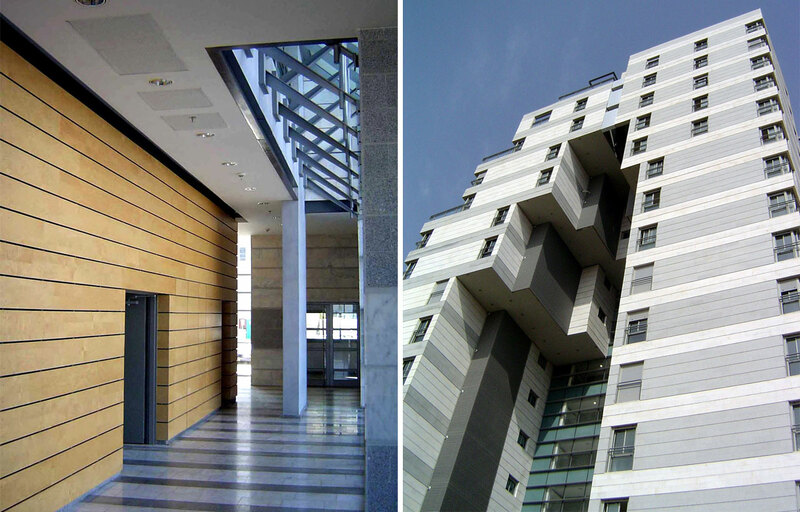 The design is based on the contrast between the white and gray stone cladding and the steel detailed balconies. The core of the building is exposed through a large glass curtain wall. This new 300 dwelling unit residential complex includes four 16 level towers, framed by a continuous 6 story cluster. At the center of the complex is a public garden. 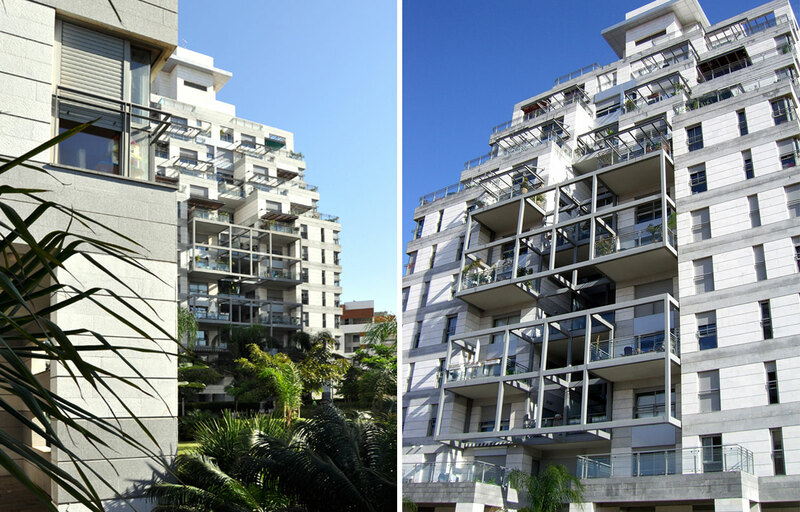 The top 6 stories of the towers are roof terraces with a variety of apartment types. 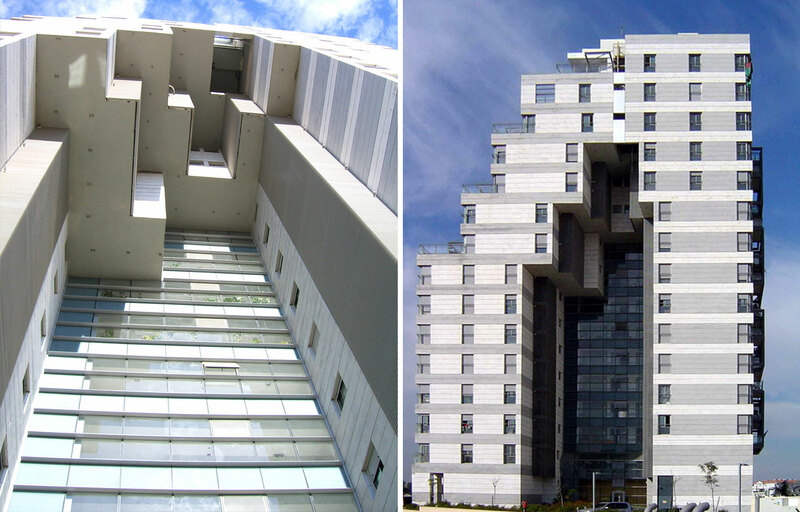 The design is based on the contrast between the white and gray stone cladding and the steel detailed balconies. The core of the building is exposed through a large glass curtain wall.